Over 5 million people visit the Reno Tahoe area each year, and with good reason. The entire area is surrounded by breathtaking natural beauty, affording tourists with numerous recreational activities. A world-class tourist destination with a rich arts scene, convention center and year-round outdoor activities, Reno has something for everyone inside its 100 square miles and we're a mere 45 minutes away from Lake Tahoe and some of the country's best ski resorts. Reno rests at a comfortable 4,400 feet above sea level, and gets over 300 sunny days each year. We get about 12 inches of precipitation annually, with lots of snow falling at the 15 easily-accessible ski resorts in the Lake Tahoe area. Our regional center is loc ated at 1175 W. Moana Lane. Reno NV, 89509 ( Click here for directions.) 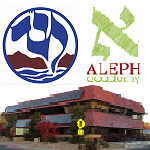 We also have a satellite center in Incline Village, centrally located at 120 Country Club Dr.
Reno-The Atlantis and the Peppermill hotels are both in walking distance of our shul. We suggest that you book early as there are a lot of events during the year as these hotels/motels may get sold out. Incline Village-Chabad is directly across the street from the Hyatt, Lake Tahoe. Kosher food for purchase, in both Reno and Incline, is limited to basic supermarket products. These include cereals, candy, chips, pickles, fish, olives, condiments, drinks, even bread. Just check the packages first to make sure they have reliable kosher certification . There are also plenty of fresh fruits and vegetables that are kosher even without certification. These can be found at Whole Foods Market, Trader Joe's, Safeway and Walmart. Kosher wine can be found at Total Wine, Trader Joe's or Ben's Liquor. Challah is available for purchase from Chabad every Friday. Please text 775-544-8456 to order your challah.